Lying 110 miles north of the coast of mainland Scotland, the Shetland Isles are the most northerly outpost of the British Isles. The largest island is known as the “mainland” and the capital, Lerwick, can be reached by ferry (from Aberdeen or Orkney) or by air. In fact, over 100 islands make up the Shetland archipelago, of which 16 are inhabited. Inter-island ferries serve the outlying islands and are a convenient way to travel around. Despite being located at the same latitude as Anchorage, Alaska, the islands have a temperate climate thanks to the warm ocean currents of the Gulf Stream, meaning long, cool winters and short, mild summers. Like the neighbouring Orkney Islands which lie 50 miles to the south west, the Shetland Islands have a wealth of prehistoric sites including the Jarlshof settlement and the Iron Age Mousa Broch. The Norse heritage of the islanders is celebrated every winter during the Up Helly Aa fire festival where a replica Viking longboat is burned amid much singing and celebration. Shetland is known for its unspoilt landscapes and is home to three national nature reserves, where you can see a variety of species including storm petrels, otters, seals and porpoises. 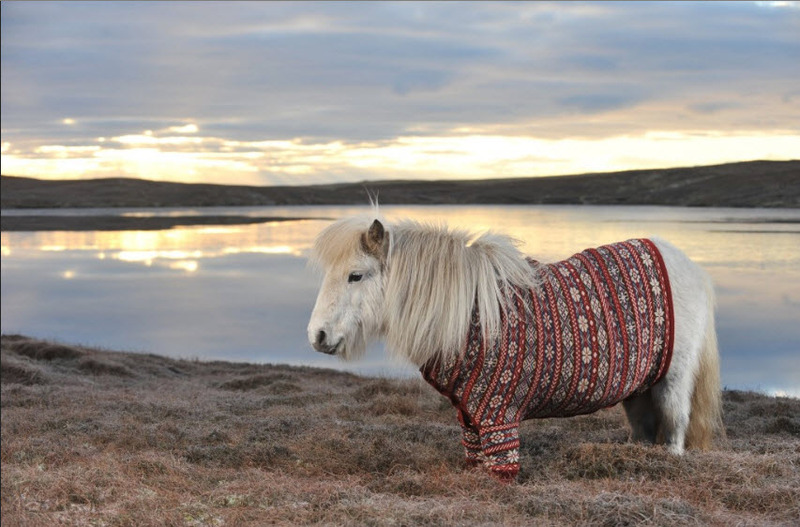 And of course, you are very likely to spot the famous indigenous Shetland ponies! We would recommend a minimum of three days in Shetland which will allow you plenty of time to explore these magnificent islands.